A few weeks ago, Fishbreath and I were looking at another striker-fired pistol1 being found to be not drop safe. Fishbreath commented that he’d really like to see these barrel-up-at-30-degrees drop tests done to the Glock 43 and the M&P Shield. I promptly obliged him with a video. Glocks have three safeties designed to work together to prevent firing when dropped at any angle. Let’s take a look at how they work. An understanding of the trigger mechanism and the safeties it employs is also useful when attempting to modify that trigger system. The first safety is the only one visible externally: the trigger safety. 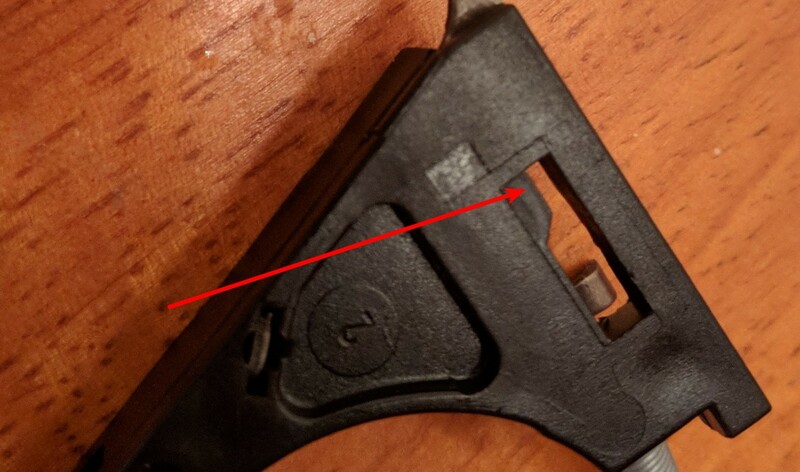 It’s that little plastic tab in the middle of the trigger of a Glock, as seen in the picture below. This part has exactly one job: to prevent inertia from moving the trigger. If the pistol is dropped, in some barrel-up orientations inertia may try to move the trigger once the pistol hits a hard surface. This will defeat the other safeties and cause the gun to fire. The trigger safety blocks the movement of the trigger and trigger bar, and prevents this from happening. Your finger, or some other reasonably firm foreign object, will disengage the trigger safety and allow the trigger to move normally (and hence the gun to be fired). That is all the trigger safety does: keep inertia from firing your pistol. The trigger safety is very light, making its spring better able to resist inertia in a drop. Plus, as the trigger shoe moves back, this will press the trigger safety up against the frame, adding friction to keep it from moving. We can see that the front of this slot has a little shelf to hold the tab up, and this shelf is our third safety. 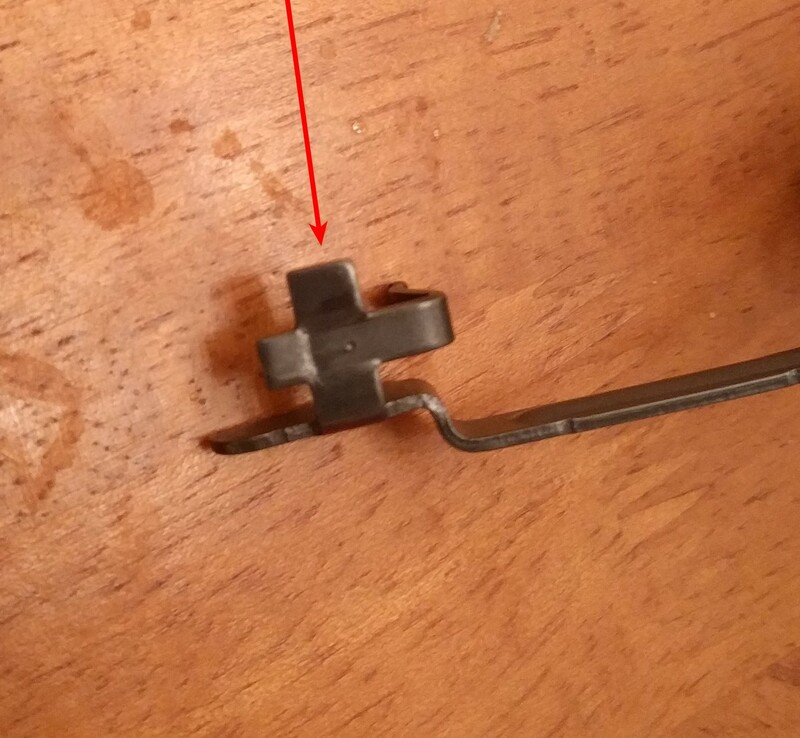 When a Glock is partially cocked2 and ready to fire, the rear of the striker is pressing forward against the trigger bar, under spring tension from the striker spring. 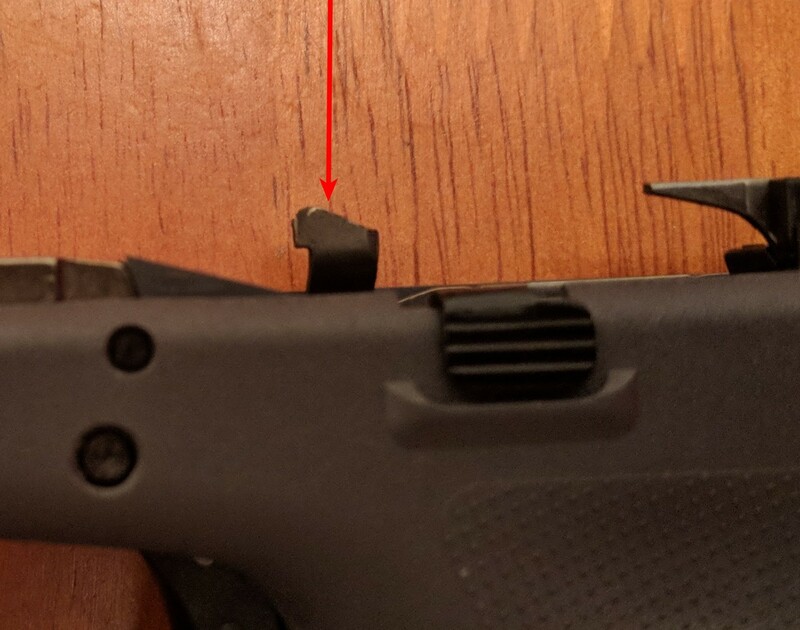 The trigger bar itself is being pushed back a bit by the trigger spring, which is working in the direction of your trigger pull, or against the striker spring. So the trigger bar itself is also preventing the striker from moving forward and hitting a primer. When you pull the trigger, you move the trigger bar back, which finishes cocking the striker. 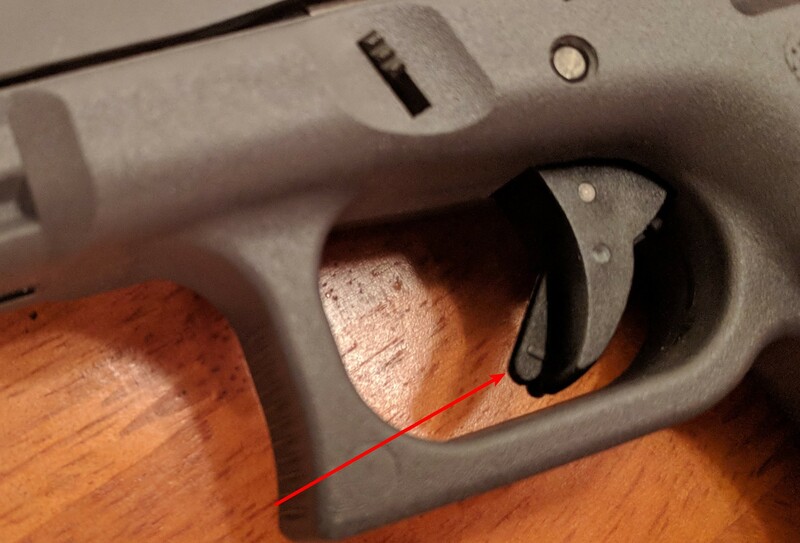 This motion moves the cruciform tab off the shelf in the trigger housing, which allows the connector and the trigger spring to move the trigger bar down out of the path of the striker. The striker can now fly forward and hit the primer, sending a bullet at your target. Now, let’s talk a little bit about modifying Glock triggers, and how that relates to safety. From above, we can see that Glock triggers fundamentally require some amount of “pretravel” (i.e. distance the trigger must move before the trigger breaks) for the internal drop safeties to do their job. So you can never get a Glock to resemble a 1911 with negligible trigger pretravel unless you disable the drop safeties. This entry was posted in All and tagged commentary, design, firearms, modern pistols on January 12, 2018 by parvusimperator.